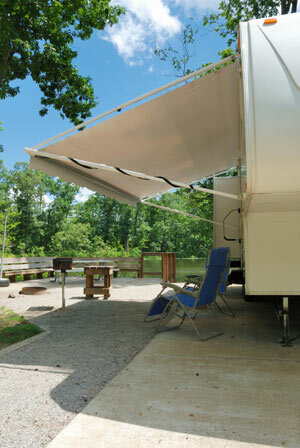 When it comes to mobile living, awnings are great additions to RVs, campers and even trailers. 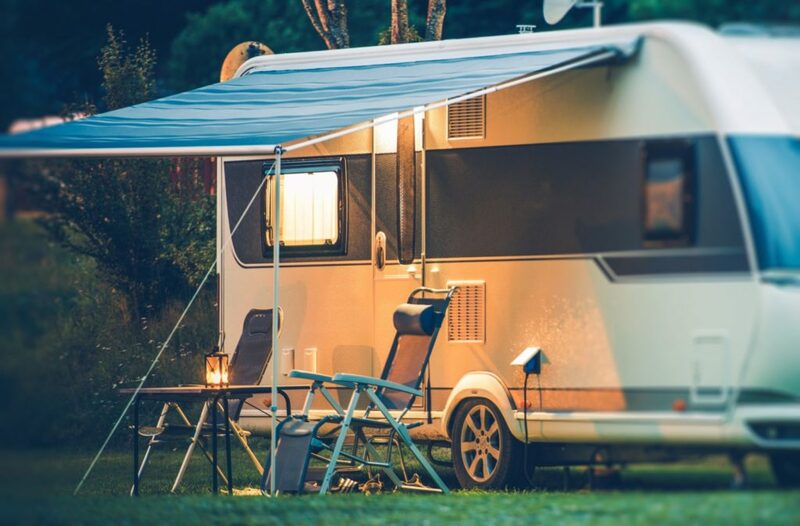 To help ensure your awning provides years of reliable, trouble-free operation, we’ve put together this list you can use to guide you through proper cleaning of an rv awning and preventive maintenance. First, know what material you’re working with: Properly caring for a vinyl awning is not the same as cleaning a fabric awning. Most vinyl RV awnings are made from premium grade “marine quality” vinyl. Fabric canopies, on the other hand, are actually solution-dyed acrylic fabric. Most high-quality fabric awnings (often referred to as “acrylic” or “canvas”) are made by Sunbrella®. This breathable outdoor textile has a high tolerance for UV rays and dries quickly. Its special finish makes it resistant to water and oil-based stains. Over time, this repellent finish can fade. When this occurs, your once quick-drying awning may instead get damp. Left untreated, the material can become permanently soiled. It might even begin to leak. Vinyl awning fabric is mildew resistant, but not necessarily mildew-proof. Mildew, which forms on the dirt and dust that collects on vinyl fabric, can be particularly troublesome in warm, humid climates and if the fabric is stored when wet. When treated properly, vinyl awnings clean up so easily that special cleaning solutions are virtually never required. And because most “awning cleaners” contain bleach and other components that are harmful to vinyl, avoiding such products means your awning will last much longer. 1. Clean Wash the awning with a high-quality cleaner designed to work well on outdoor fabrics and vinyl. 2. Protect Once thoroughly cleaned, treat the awning with a surface protectant. For fabric awnings, use a commercial-grade fabric guard. (Note that consumer-grade fabric protectors do not adequately shield outdoor fabrics from the elements.) For vinyl awnings, select a high-quality surface protectant. 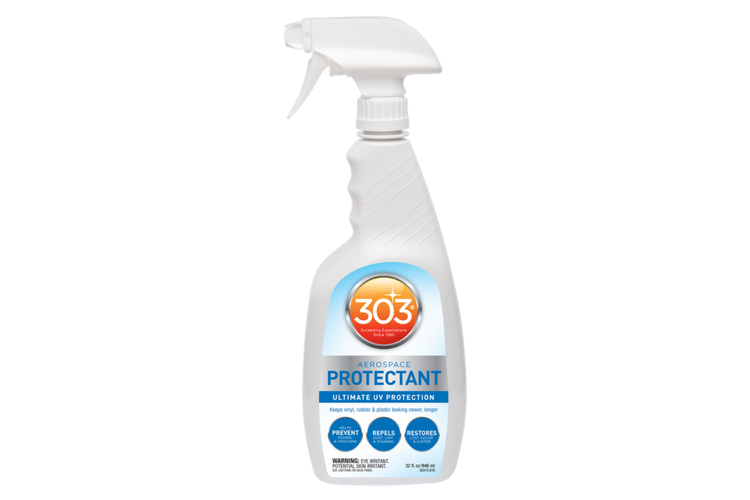 You want a spray that’s soil resistant, water and stain repellent and, most of all, long-lasting. Tip: Silicone water repellent treatments are commonly available, but should never be used on Sunbrella awnings. Doing so can void the factory warranty. 3. Reapply By periodically reapplying a protectant spray, your awning will stay cleaner longer and dry much faster. And since protected awnings are less likely to be damp when rolled up and stored, mildew and stains are less likely. I spend a lot of time cleaning my RV awning. Is there any way to make this easier. My wife and I have been thinking about getting caravan annexes for our caravan. One of the questions we had was how to care for the annexes. Thanks for this article, I wouldn’t have thought about rubbing wax on it to prevent dripping. you still didn’t say how to tell one from the other. is there a difference in texture? is one glossy or not? are there identifying signs that indicate which is which? I still don’t know how to tell one by looking at it. thanks. for the other information, but I don’t know which one to use. I bought a used coachmen mirada but have no idea if it’s original.